Michail Antonio's late winner ensured West Ham christened the London Stadium with a 1-0 victory over Bournemouth. 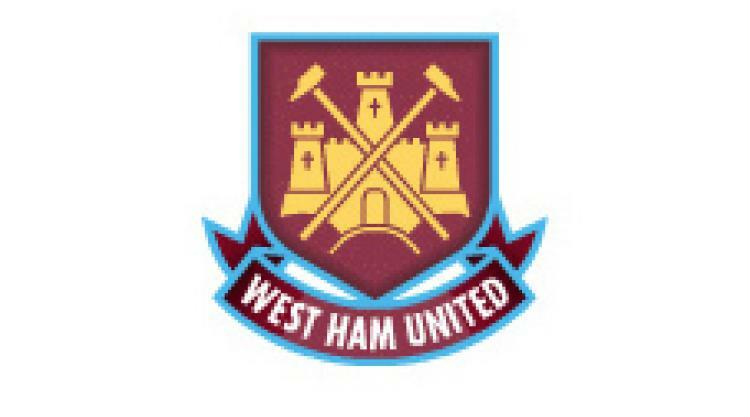 The Hammers welcomed the Premier League into their new home for the first time and got off to a winning start when Antonio crashed in a header five minutes from time. The cause was helped by Bournemouth's Harry Arter, who eight minutes earlier had been shown the stadium's first red card. The match will not live long in the memory but Hammers boss Slaven Bilic will not mind as his side collected their first points of the season. Bilic was desperate for West Ham to get that first win under their belt as quickly as possible but unfortunately for him the new era had begun with some all-too-familiar news, with perennially-injured Andy Carroll having been ruled out for up to six weeks with knee damage. With star midfielder Dimitri Payet and club record signing Andre Ayew also out injured, this was not the team Bilic would have liked to select. Payet's sense of occasion alone might have lifted an otherwise flat first half, as Bournemouth sat back and invited a toothless Hammers attack to try their luck. Summer signing Gokhan Tore attempted to inject some life into proceedings with some forays down the right wing, but he curled one effort high and wide before driving a free-kick - in Payet territory - straight into the wall. Meanwhile Carroll's absence was felt when Mark Noble's dangerous cross flew inches over the head of stand-in striker Enner Valencia. One swift counter-attack, started by Sam Byram and featuring neat one-touch passes from Mark Noble and Valencia, culminated in Tore feeding Antonio who scuffed his shot wide. Valencia finally forced a save out of Cherries keeper Artur Boruc at his near post with a fierce angled drive before the interval. Bournemouth began the second half a little more adventurously and Jordan Ibe squandered a chance when he opted to square the ball rather than shoot, before home keeper Adrian tipped a long-range drive from Josh King over the crossbar. But they were reduced to 10 men when Arter, already on a booking, received a second yellow card for bringing down Cheikhou Kouyate. And with five minutes left Antonio made the breakthrough, leaping at the far post to nod Tore's chipped cross past Boruc. Yet Bournemouth still could have spoiled the party but for Adrian's save from King and Winston Reid's brave block to deny Simon Francis on the follow-up. Hammers sub Jonathan Calleri will not look back on a missed one-on-one in stoppage time too fondly, but nothing was going to spoil West Ham's big day.